Summer is almost here! Well, sort-of. The temperatures are rising but it's England so let's be honest, it's rainy, cloudy and breezy most of the time. This funny time of year is often tricky on the skin front, the heat and humidity can do awful things to the complexion, suddenly there's a new wave of oil and spots, dry patches and a face that doesn't know if it wants every treatment you have or just to be left well alone. Lovely. 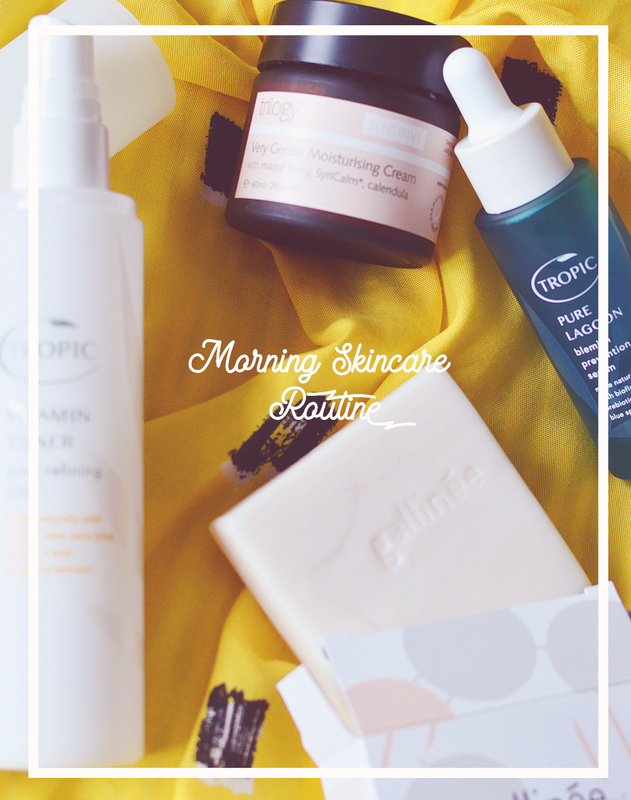 When this happens I tend to stick to skincare that I already know, perhaps using it in a new way by mixing products together to get the results I'm looking for. It's taken me quite a long time to fall for the Josh Rosebrook Tinted Nutrient Day Cream (SPF30), but now I feel like my skin is finally in the right place (a little dry and a bit spotty) to be able to fully accept and work with this cream. It gives a lush glow without any grease and offers protection from the sun, win win! Combine this with the Oskia Get Up & Glow serum (full review here) for some extra skin smoothing, glow giving benefits and we have a great daytime under-makeup match. I simply mix equal amounts of each together with my fingertips and apply to toner damp skin. Pick up the Tinted Nutrient Day Cream UK / US or Get Up & Glow here. There are some nights when I just really don't want to slather my skin in layers of oils and creams, it's just too warm and suffocating enough already without feeling something sitting on my skin. No thanks. 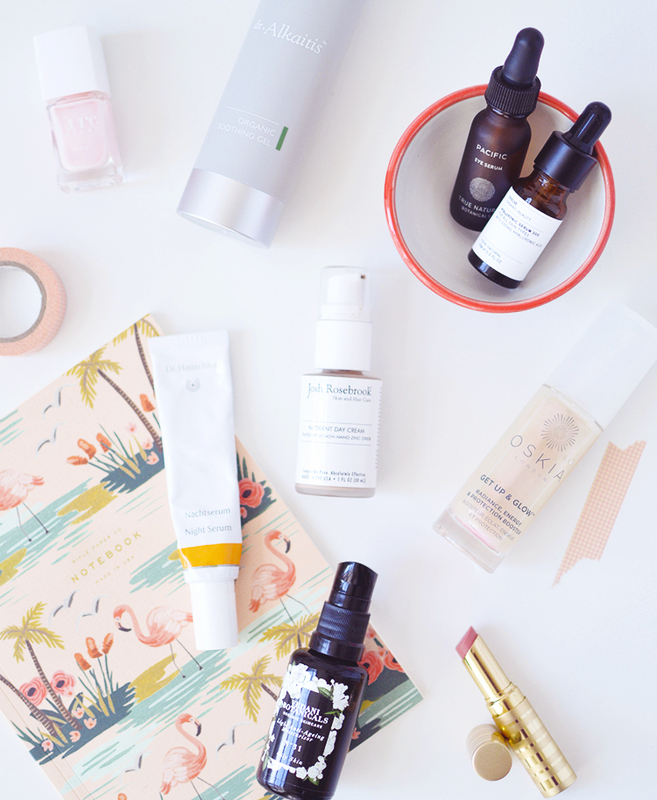 For those nights, I reach for two trusty serums, the Dr. Hauschka Night Serum, an incredibly simple but effective gel-serum that works wonders on my skin, especially when it's oily and spotty. By the time morning arrives everything looks calm again, like my skin has had a moment to catch its breath and reboot. Secondly, the classic Dr. Alkaitis (so many wonderful skin doctors) Organic Soothing Gel is also fantastic. You really cannot go wrong with this soothing, antibacterial and hydrating serum. It is very thin in consistency and can be applied with a cotton pad or quickly patted onto skin with fingers - it's also great mixed with richer oils to help them sink in. For a serious moisture boost on days when my skin is feeling parched, there are three products I turn to. For eyes it has to be the True Botanicals Eye Serum, a new launch from the brand and as always deliciously silky, potent and nourishing. It brightens, firms and reduces puffiness and dark circles, a perfect treatment for eyes that are itchy and sore during hayfever weather. For the rest of my face I like a combo of oil + water-based serum. Skin needs both water and oil to stay perfectly balanced and hydrated, so the Evolve Hyaluronic Serum 200 and Vedani Botanicals Silky Moisturiser No32 are perfect together. I layer on the serum first and then apply the oil with a push and press technique. If you have read my full review of this oil, there's no need to say anymore, it's perfect in every way. Get the TB Eye Serum here, Evolve Serum here and Vedani No32 available here. Do you switch up your skincare for summer?